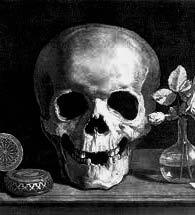 Explore this gloomy, deep, powerful piano piece inspired by thoughts of death... and a model skeleton. It's Chopin's most famous melody, known all over the world through its use in TV and films. Chopin was fascinated by funeral marches, although hardly wrote any. His doom-laden funeral march is actually the third movement of his Piano Sonata No. 2 in B-flat minor. The sonata was published in 1839, but the Funeral March was finished earlier. The composer actually wrapped the rest of his sonata around the mournful march. 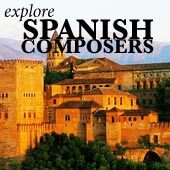 The funeral march, oddly placed as the third of four movements (usually in a sonata, the slow movement comes second) became the central focus of the sonata. The story of the piece's composition is quite unusual (if true...). It begins with Chopin suffering from surreal nightmares, and going to rest in the studio of an artist friend (Felix Ziem). Chopin's bizarre night terrors reminded Ziem of a joke he played in the studio of another artist friend. Ziem had found skeleton and sat it at the piano, making it look as if it was playing. The skeleton was brought round that night. Chopin, feverish and pale, sat at Ziem's piano with it. Inspired by his nightmares and the deathly skeleton's presence, he improvised his funeral march then and there. The Funeral March became incredibly famous, even to the point of becoming a parody, for a reason. The slow, bleak, repetitive sounds echo the visions of doom which Chopin experienced in his nightmares. There is no escape: the raw blackness of the music destroys all hope, and swells with cries of grief. 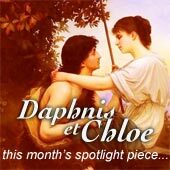 Click to listen to and explore Chopin's nocturnes, which have a similarly gloomy feel to the funeral march. I think the two darkest and most moving versions of the Chopin funeral march are played by Maurizio Pollini and Gyorgy Cziffra. 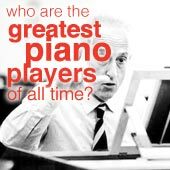 ...click to read about the astonishing playing of Maurizio Pollini, one of the most popular pianists around. Pollini's recording (Deutsche Grammophon, 1985) is perfectly controlled, and has an evil, hollow sound, evoking the emptiness of death. Pollini stays true to every last nuance of the original score, and the result is a glimpse into Chopin's own doom-filled mind. Cziffra plays slightly faster and with a little more breathing room, but with a deep feeling. He also has a kind of flexible sound, like a spade digging into the earth to make a grave. His recording is part of a complete works of chopin set on EMI Classics Imports. Explore more of Chopin's music!